Ryan R. Karlstad, MD, is a fellowship-trained, board certified orthopedic surgeon who specializes in injuries and conditions of the hand, wrist, and upper extremity. He is one of only a few dozen orthopedic surgeons in the country who holds subspecialty certificates in both hand surgery and sports medicine. Upon completion of an orthopedic surgery residency, Dr. Karlstad received fellowship training in hand and microvascular surgery. Procedures Dr. Karlstad specializes in include endoscopic and open carpal tunnel release; fixation of finger, wrist, and elbow fractures; nerve and tendon repair; arthroscopic and open treatment of finger; wrist and elbow arthriti;, surgical and minimally invasive treatment of Dupuytren’s disease; and ligament reconstruction (including Tommy Johns surgery) at the elbow. 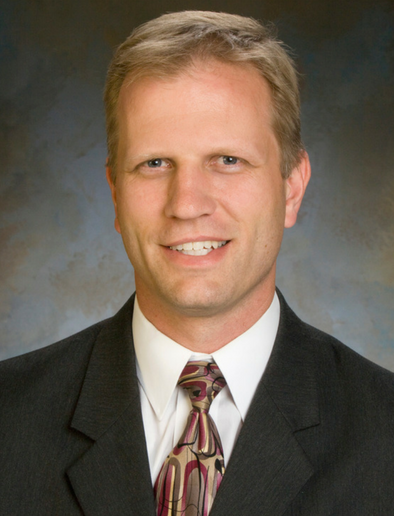 Dr. Karlstad received his subspecialty certification in Hand Surgery from the American Board of Orthopaedic Surgery in 2006. He received his subspecialty certification in Orthopaedic Sports medicine from the American Board of Orthopedic Surgery in 2011. I just wanted to take a moment to tell you how much I appreciate your talent as a hand surgeon and your awesome staff at High Pointe. After years of dealing with carpal tunnel I was finally pushed to do something about it when I developed a trigger thumb in my left hand. I had my first surgery last December. I was so happy with the results that I knew the following year I would do my right. Over this summer I ended up with a trigger thumb in my right hand as well, so surgery was done a bit sooner than I anticipated. I am now 4 weeks post op and couldn’t be happier. This list could go on and on, my point is that you restored things for me that I didn’t even realize I had adjusted to over the years. So thank you, Dr. Karlstad and your awesome staff at High Pointe. It is amazing how efficient they are without ever making you feel you are being rushed. I always feel like me and my family are important when we are there. Dr. Karlstad, you probably don’t get feedback from most patients you see who have successful outcomes. Just wanted to send a quick note letting you know that I think the diagnosis of tendonitis in my wrist was spot on, and the cortisone shot worked amazingly well. It was a few days into it and I said to my wife, “I completely forgot about my sore wrist,” which was amazing. Prior to the treatment I couldn’t do anything without it reminding me that it was messed up. It was a major nuisance and pain. So great job. Thanks for taking care of it. Dr. Karlstad has been unequaled in patience, expertise and care. I totally trust him and know that he will do anything he can to make you “new” again. He is an EXCELLENT surgeon.